I’ll be continuing these general drought updates for the remainder of the season. The province is now also doing a weekly drought call with updates from around the region (see below), and this update is intended to provide a bit more local context. The notes from our Okanagan Drought Workshop on August 13 will be available at the end of next week, and I will circulate them with the next update. I’ve included previous updates below this message, so you can scroll down to review where we’ve come. We are forecast to get some welcome rain this week, and it sounds like Vancouver will get a real soaker: http://tinyurl.com/o93gdrl. 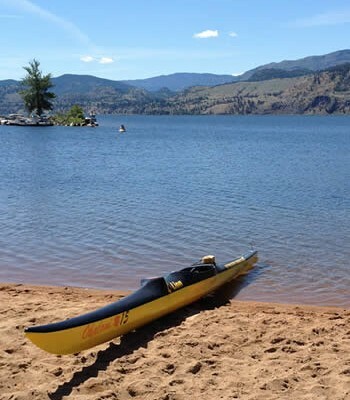 Regardless of whether it’s showers or downpours in the Okanagan, it will help ease drought conditions by reducing evapotranspiration and irrigation demand from plants, evaporation off the lake, and cool down the water temperatures for fish. If you’d like to be included on the FLNRO list for the drought calls, please contact Danielle Cuthbertson ([email protected]). On the call this Wednesday, they reported several area streams on the watch list for regulation, including Duteau and Trepanier Creeks. 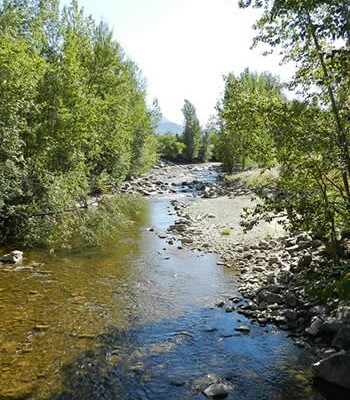 Streams that are on the next-highest tier of priority on the watch list include the Similkameen River, Mission Creek, and Middle Vernon Creek. The province emphasized that the streams on the watch list can change daily, so they aren’t publishing these anywhere. Here is a link to the 7-day low-flow charts from the River Forecast Centre, where you can see the relative condition of some of our major streams: http://bcrfc.env.gov.bc.ca/lowflow/7DayFlowGoogle.html. According to the presenters on the call, some regulatory actions have taken place in the areas around us, especially in fish-bearing streams that are not backed up with storage. In the Coldwater River area, licensed irrigators are only allowed to operate at night. The Salmon River had a 100% voluntary shutdown of license holders last week, and FLNRO may also ask groundwater users there to shut down voluntarily. In 2016, the province will be able to require groundwater users to reduce their water use (under the new Water Sustainability Act), but there are no groundwater regulations in place this year. There was a shutdown of an unlicensed user in Lumby. 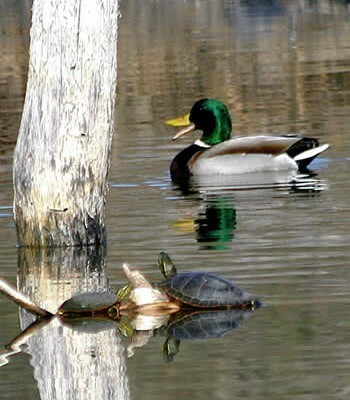 Here is a good update on the lake level conditions, by John McDonald at InfoNews. He interviewed Brian Symonds this week, who is an expert on lake conditions. 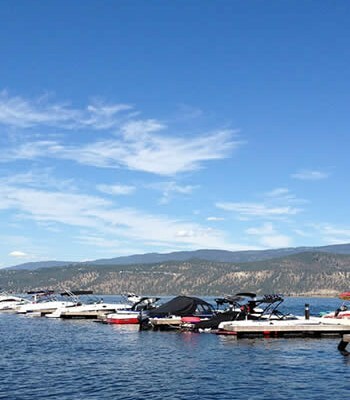 http://infotel.ca/newsitem/okanagan-lake-water-level-not-bad-next-year-could-be-the-problem/it22473 . And here is a graph of the lake levels since June 1 (in green), with the average lake levels (dotted line). At this point, the concern is more about what happens with precipitation this winter, and our reservoir status going into the spring of 2016. Conservation continues to be very important. 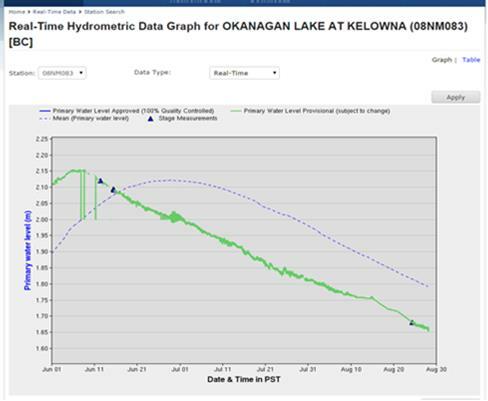 Osoyoos Lake is now being operated under the IJC’s drought rules, which allows the dam operator to bring the levels higher or draw them lower than normal. However, lake levels are still being managed within normal range: http://wa.water.usgs.gov/data/12439000.html. This year’s drought and warm water temperatures have been very hard on the sockeye salmon return. Here is a story published today about the prognosis for this years’ run. http://www.pentictonwesternnews.com/community/323158511.html. 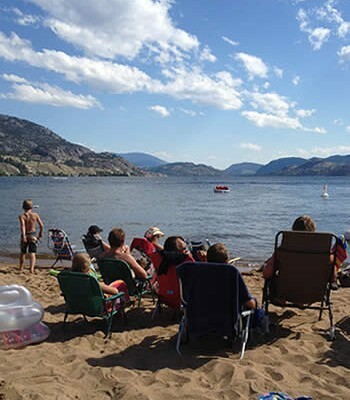 Thankfully, the Osoyoos Lake water temperatures are improving (cooling to a level that is more beneficial for fish). 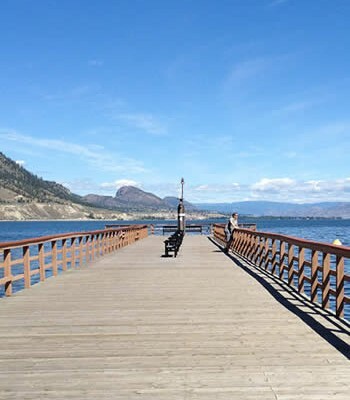 Today’s temperature is 22.5 C. To view Osoyoos water temperatures, visit: http://waterdata.usgs.gov/wa/nwis/uv?site_no=12439000. Many of you have expressed interest in “what everybody else is doing.” Here is a quick survey from what’s available on municipal/irrigation district websites. 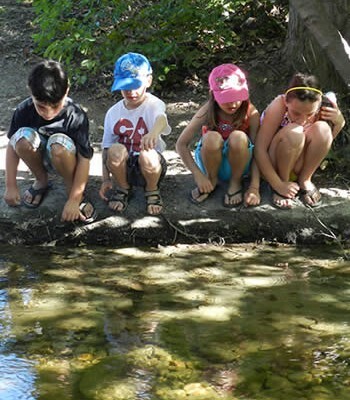 Osoyoos is in Stage 2 (2 days/week): http://www.osoyoos.ca/content/conservation-water-restrictions. They have a cool little poll on their town website asking residents if they are complying. 73% say they are, 14% say they aren’t, and 14% say they aren’t concerned. The Okanagan Nation’s fisheries department was a central part of this years’ drought story, keeping us updated on the status of the salmon in the Columbia, and locally in Okanagan lakes and streams. For several years, the ONA’s natural resource department has been working on a water planning process, developing a water declaration and consulting with their communities. For all these reasons, it’s exciting to hear that they are hosting an upcoming Okanagan Water Forum. The following information was provided by the ONA. 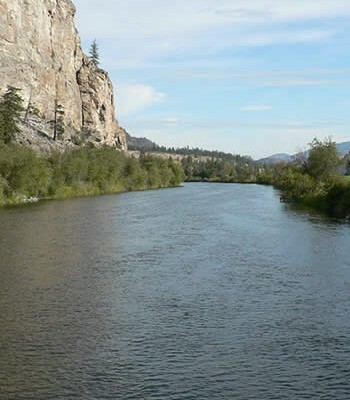 The Okanagan Water Forum “From Knowledge to Thinking Forward” will bring together Okanagan Nation representatives and regional water stakeholders in an effort to build partnerships, and create actionable solutions in regards to water management in the Okanagan. Join us for a full day of presentations, networking and facilitated dialogue that will allow for knowledge sharing and provide the opportunity to forage partnerships for addressing our common water management challenges. 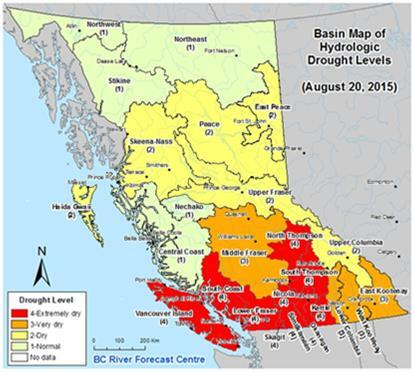 The BCFGA has released the attached drought policy statement, about dealing with drought. As you know, water shortages can lead to huge losses for the agricultural community. Our local drought contact person with FLNRO is Ray Reilly in Penticton, (Phone: 250-490-2218, Email: [email protected]), who can presumably put you in contact with whoever is appropriate for answering your specific questions. Thanks for your ongoing interest, and please don’t hesitate to contact if there’s anything I can help answer, or if there is specific information you feel should be shared in these updates. ‹ Drought Workshop – Presentations now available!